What is Creative Cloud for K-12 education? Bring Adobe Creative Cloud to your school or district with affordable, easy-to-manage licensing options available through the Adobe Value Incentive Plan (VIP). You’ll enhance teaching and learning while helping students develop essential digital skills for college and career success. Give your students, teachers, and staff access to the latest industry-leading creative software so they can design, share, and publish compelling content across all media and devices. And now for the first time, students under the age of 13 can have their own Creative Cloud accounts provided that your school deploys in accordance with COPPA and other legislation. A low-cost, flat-fee, single-license purchase with one annual or multiyear contract for devices owned or leased by the school, and users attending or working for the school. Designed for an individual school or district, licensing options offer a web-based Admin Console that makes it easy to centrally manage and deploy licenses. Schools can use device licenses to allow anyone to access Creative Cloud apps on a given device in the classroom, and can use named-user licenses to give a student or teacher access to Creative Cloud on any device they use, including personal devices at home. Get your educators up to speed on Creative Cloud apps so they can ignite students’ creativity. 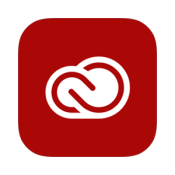 The Adobe Education Exchange offers free professional development and peer-to-peer collaboration, and the Adobe for Teachers site delivers curriculum and classroom project ideas. Adobe is offering Creative Cloud for Education Licenses through a new licensing option, the Adobe Creative Cloud Named User K12 School Site or District License. This offering is available for primary and secondary or K-12 schools only. The Adobe K-12 School Site License allows a school to deploy Creative Cloud for education Named-User Licenses to at least 500 students and faculty and the District License allows a minimum of 2500 named-users. Create amazing content up to 10x faster with Creative Cloud Libraries and Adobe Stock. Collaborate freely and securely across desktop and mobile. Simplify license management and purchasing. And work better, together. Extend the full power of Creative Cloud across your institution. Starting in early 2019, you’ll have a new way to give your students and faculty access to the world’s best creative apps and services in shared environments like labs, libraries, and classrooms. With new shared device licensing, they can use the latest versions of Creative Cloud—including cloud-based apps and services—on entitled school machines. Plus, those who have their own paid Creative Cloud subscriptions can log into entitled machines to access their profiles and their saved work. To use shared device licenses, students and faculty in shared environments can simply log in with an Enterprise or Federated ID and password provisioned by the school. At colleges and universities, they also have the option to log in using a free Adobe ID that they create on adobe.com. And best of all, schools that currently have device licensing can migrate to new shared device licenses at no additional cost. 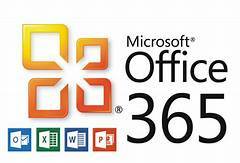 • Access new cloud-based apps when using entitled devices. • Use Adobe Portfolio to create websites that showcase their work. • Find the perfect font for any creative project with Adobe Fonts. • Store and sync their work to the cloud so they can access it anywhere. • Create groups of licenses to match device locations and assign a sub-admin to manage each environment. • See how many students are using entitled devices in each environment to help ensure that coverage matches needs. 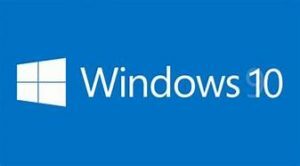 Starting February 1, 2019 – you can self-service migrate from your current device licenses to shared device licenses. Migration involves creating a new package and deploying to relevant devices. Once migration starts, you have 30 days to complete the process before your device licenses become inactive. You can track and manage your migration from your Admin Console. Adobe Muse – Design and publish websites without writing code. Adobe Capture CC – turn an image into a color theme, pattern, unique brush. Adobe Illustrator Draw – a vector drawing app. Adobe Photoshop Sketch – an expressive drawing app. 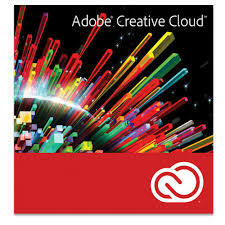 Adobe Comp CC – software for layout and design creation. Adobe Preview CC – an app for previewing mobile designs. Adobe Premiere Clip – a timeline based video editing software on mobile platform. Adobe Lightroom Mobile – an image editor that resembles Adobe Photoshop Lightroom on desktop. Adobe Photoshop Mix – a layer-based raster image editor. Adobe Photoshop Fix – a restoration and retouching software for image color correction.